In order to stay on top of your finances, budgeting is the magic word. It’ll give you a clear understanding of what your financial situation looks like. It can also help you reach future financial goals and experience financial freedom. 1. Get a Clear Picture. Write Down Your Income. Gather the total amount of your after-tax income each month. Don’t forget to include any side gigs, supplemental jobs and other sources of recurring income. If you’re married, you need to do this with your spouse because both partners need to know what’s coming in. When you count every dollar that comes in, you’ll have a better idea of what your financial situation really looks like. 2. Consider What Goes Out. Take a Look at all Expenses. Take a look at every dollar that leaves your account and where it’s going. Remember the standard bills you need to cover such as rent/mortgage and groceries. Count the bi-monthly and annual irregular bills. You don’t want to forget any standing payment obligation. 3. Get to Zero. Subtract Until You Get There. Now that you can see what’s coming in and what’s going out, it’s time to create a budget. Subtract your expenses from your total income. This will show you how much you have left for other purposes. If you’d like to place more money in your emergency fund or save for that upcoming vacation next year, you have the power to decide what goes and stays in the budget. After crunching the numbers, you need to arrive at a zero balance. If there’s more money left over or not enough to go around, you’ll need to make some readjustments. Every dollar needs an assignment. 4. Stay on Top of Expenses. 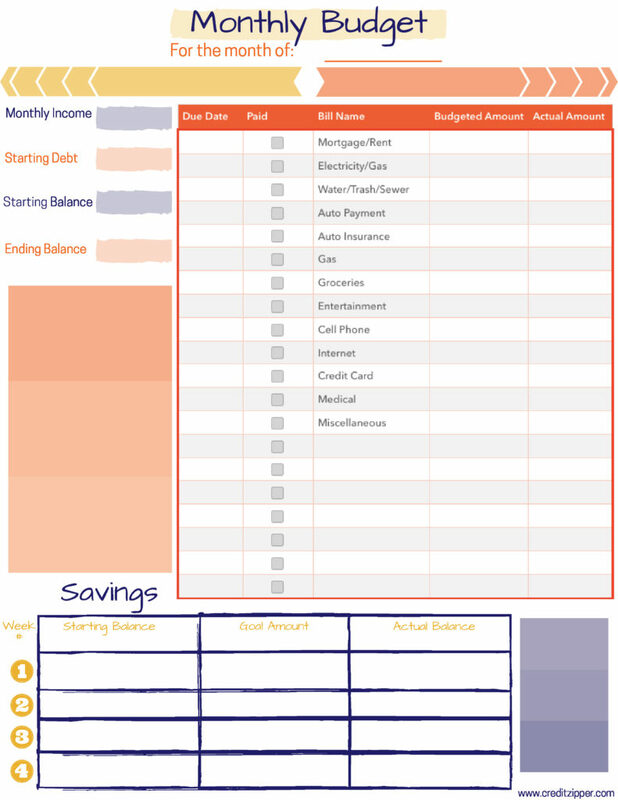 In order to maintain a budget, you’ll need to track your spending throughout the month. Consider downloading an app that can help you keep track of what you’re spending and let you know when it’s time to slow down. This task might seem a little foreign in the beginning, but after a couple months, most people admit that they get the hang of a budget and enjoy keeping it.